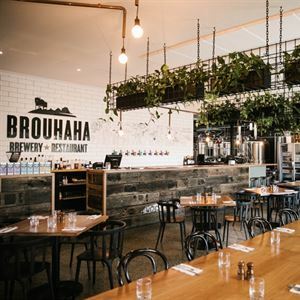 Founded by locals, discover Brouhaha Brewery nestled among the sweeping landscapes of Maleny on the Sunshine Coast. 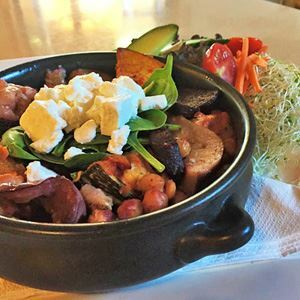 Tucked just off Coral Street, this craft beer institution fills with a cheery crowd seeking an icy beverage and a catch up with friends in trendy surrounds. Interior designed in collaboration with May Tree Studios, Brouhaha offers a series of stylish areas, from an outdoor timber deck elevated above the treetops with high bar tables and a casual drinking area to a semi-industrial interior filled with low set tables and steel brewing vats. 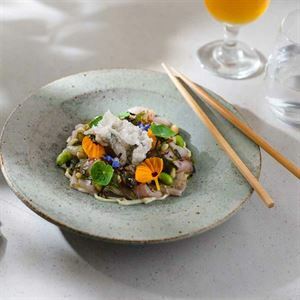 Share quality Mod Oz fare, enjoying snacks like twice cooked chips and pork scratchings before delving into a succulent Wagyu beef burger and a smooth craft beer with loved ones, picking from any of the ten rotating craft beers on tap.